Put your hard-earned gift planning knowledge to gratifying use by mentoring local grassroots nonprofits. 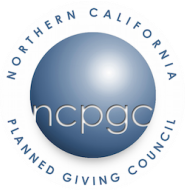 As part of NCPGC’s Diversity Initiative, the Council is sponsoring a comprehensive gift planning mentorship program for an initial class of up to six nonprofit fundraisers. The mentee organizations will be chosen based on their service to underserved communities and their ability to take advantage of the program. The Council seeks mentors with at least five years of gift planning experience. Mentors agree to commit to one year of service. You and your mentee will spend up to 3-5 hours per month strategizing and implementing a sustainable planned giving effort. Mentees will also be participating in all of NCPGC’s programming including the Basics Course, Planning in Practice programs, luncheons, and the annual conference.